Is it already the end of February?! And I’m barely posting about what Chris and I did for Valentine’s Day?! Whoops. 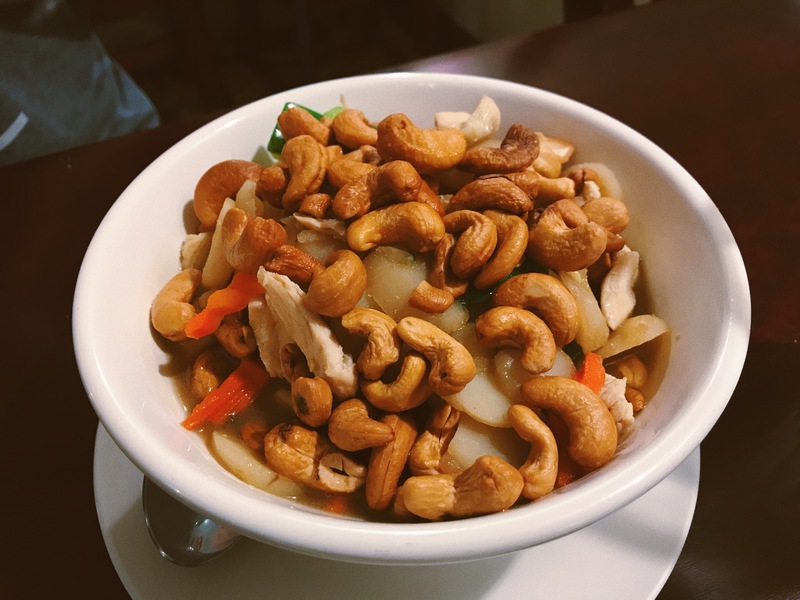 Life has been rather busy, and I’ve finally finished catching up with my travel posts from December, so time to shift gears into a foodie file post! Since I had work on Valentine’s Day, Chris and I decided to have lunch the next day at Tahoe Joe’s. TJ’s has happy hour from 11am-6pm on weekdays and that’s basically the only reason we went there for. When we arrived, the lady sat us in the regular dining area but we asked to move to the bar for the happy hour prices. 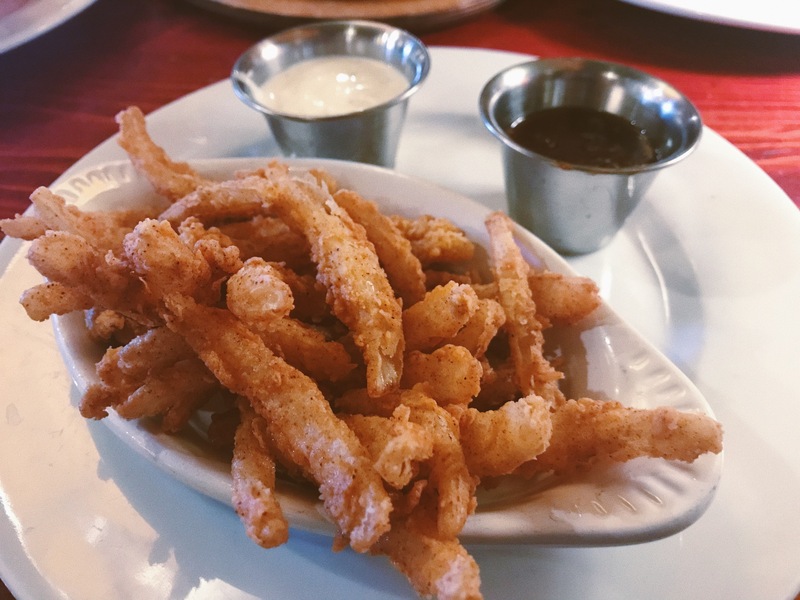 We ended up getting the Railroad Camp Shrimp, Onion Straws, Spinach & Artichoke Dip, and Cabin Fries. The shrimp was amazing. 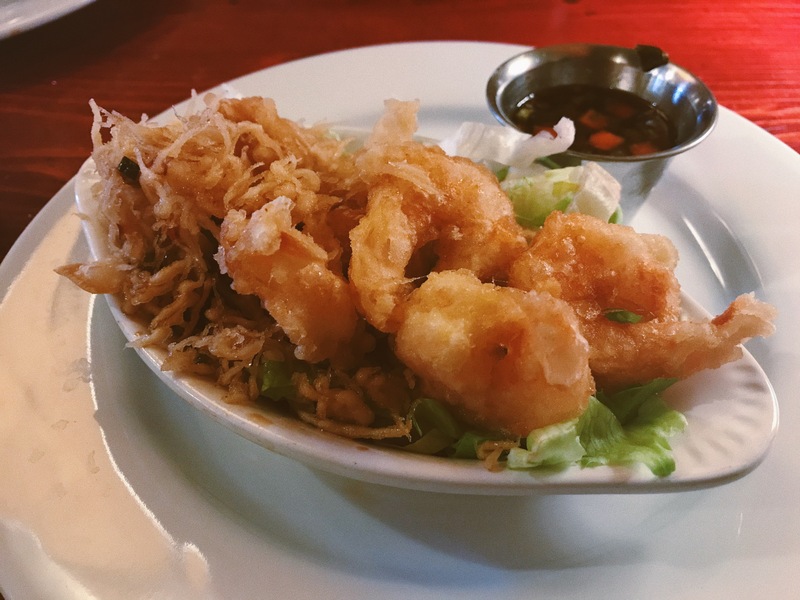 It’s basically tempura-battered shrimp served with a spicy garlic-soy dipping sauce. 10/10 would come back just for that. 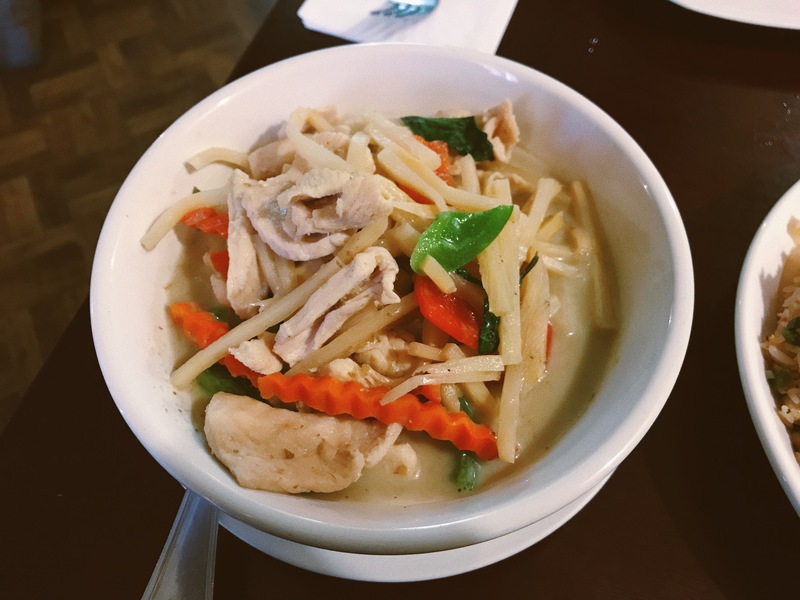 The next day, I was craving Thai food so we headed over to Thai Basil Restaurant for dinner. It was a little out of the way for us since it was on the other side of town, but we still made the drive. Chris got the cashew chicken with a spicy level of 6/10; I opted for the yellow curry with a spicy level of 3/10. 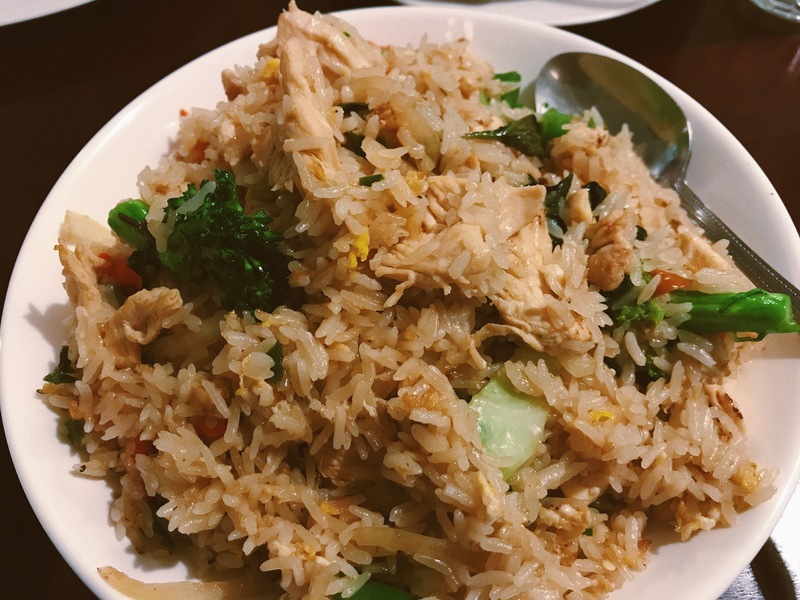 We shared an order of their chicken fried rice and decided to make it a level 8 on their spicy level. This place fulfilled my cravings. Their yellow curry was delicious, and it paired really well with the fried rice. I mean, anything goes with rice because rice is life. I love this little Thai restaurant! It was pretty cool they used a numeric scale for adjusting their food’s spiciness to the customer’s level. I love hot Cheetos but I can’t really tolerate spicy entrees and I tell you, the rice was burning my insides! Aaaand that’s how Chris & I basically spent our Valentine’s Day/week this year. No fancy gifts, just good food in our bellies! ‘Til the next foodie file! P.S. Do you celebrate Valentine’s Day? Time is flying by too fast, girlfriend. When you’re making $$$, V-day has to wait! But it’s kinda good where you’re avoiding the rush too?? The food from Tahoe Joe’s looks delicious! Happy hour price is life. GURRRL. Make everyday Valentine’s Day, hahah. We spent like $25 for a ton of food. We didn’t even get to finish it all because we were so full. it’s almost lunch time here and this post of yours is making me craving of fried food! These meals look so delicious! We didn’t celebrate because it was on a Wednesday. Went to a concert on the weekend. I’m so hungry now. Lol! This post is giving me same craving cause the food looks extra delicious. Nothing beats celebrating V-day with a good food, we do that too most of the time. Only when we can’t go out to eat hubby would give me flowers hehe. I like the look of the food at Taho Joe’s. Have a nice weekend Eena! Oh my gosh, this post is making my tummy growl!! Everything sounds and looks SO good!! I wish we had places like this near us! I’d be very poor and extremely overweight. Haha! Oh my goodness, this all looks so amazing! Cannot believe it’s already March, eeeek! I love That curries, I have tried the red and green one. Need to try yellow curry next! Your food pictures are actually making miss Thai food, need to rush there to calm my craving I guess haha! This food looks really so yummy and good! I always celebrate V day but not this year cause my daddy isn’t so well..
Oh my gosh, that dip looks SO YUMMY! Ben and I do still celebrate Valentine’s Day, but it’s mainly an excuse to hit up our favorite Mexican restaurant haha. BUT, we still do manage to surprise each other with little things too, which is always fun! Gotta keep that spark going when you’re 10 years in! So glad you guys got to enjoy that time together! This looks like such a fun way to celebrate Valentine’s Day! I love how the Thai restaurant uses a scale to rank how spicy their food is – I’m a spice addict so would totally opt for a 10 if I ever visit! Food looks absolutely delicious, particularly the cabin fries and onion straws!! Omg I always end up reading food posts when I’m hungry. Everything looks so delicious! (Except for the meal with the nuts in it, as I’m not a fan of nuts in my food. Though I will eat nuts by themselves). 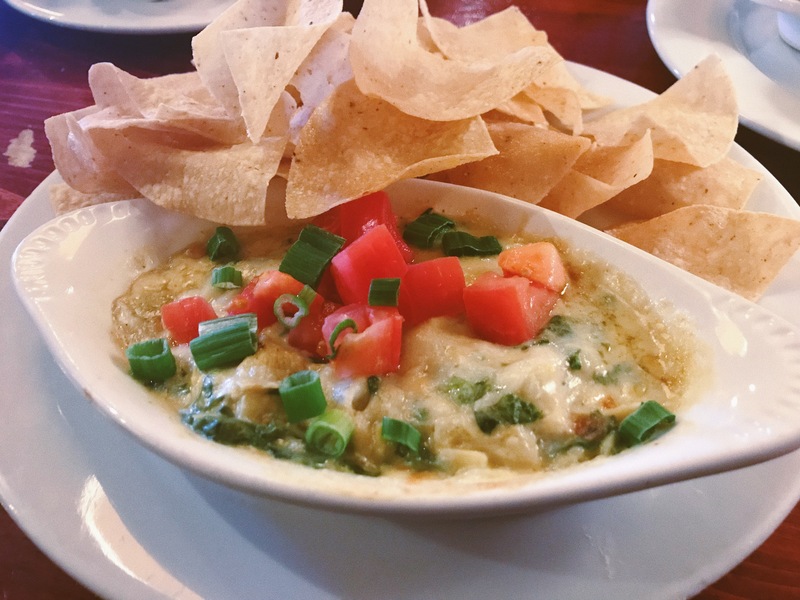 Eating delicious food is a great way to enjoy any day. I”ve never had Malaysian food but some of those dishes look so yummy that I can”t wait to try them! How spicy is the food as I can”t do real spicy? Happy belated V-Day! The food looks good! Dan took me snowboarding for my first time for Valentine’s Day haha. I fell a lot but it was fun and a unique date. Hope you’re well and hope you have a lovely evening!